Care of sports turf requires careful attention to fertilizer selection and application. Our recommended five applications of premium lawn and turf Fertilizer and Weed Control are applied at optimal times and soil temperatures throughout the growing season. 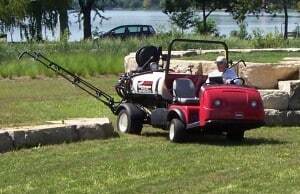 Custom fertilizer applications provide the correct amounts of nutrients based on the season. Proper turf preparation for winter also involved selection of the right fertilizer to provide winter nutrients. Turf fertilizer can be applied in either granular or liquid form with the goals of stimulating leaf growth, promoting green color, and developing a strong root system.